Located in Humble, Texas Summer Creek Cleaners is one of Houston’s first Eco-Friendly/PERC-FREE dry cleaners. We created a clean and simple website. One that was catchy and easy to navigate. Those are the best kinds, right? We made it a mobile friendly website and optimized it for the search engine. 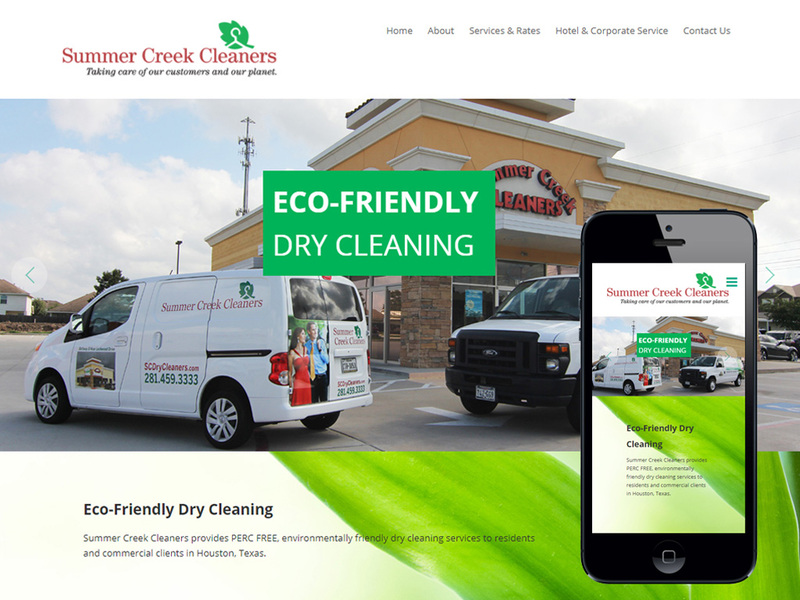 Currently the website is in the top 10 for “Houston Eco Friendly Dry Cleaners”.